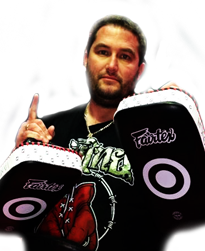 James has been involved with Kickboxing/muay thai and boxing for the last 25 years. He was trained and fought under John Scida at Ultimate Sunshine. In 2001 James opened up his own gym in Hoppers Crossing adding to the Ultimate Stable. During this time he has produced many champions from State Champ, Australian Champions, Commonwealth Champions to World Champion in muay thai and kickboxing. He has also produced amateur boxing Australian and state champions male and female and professional boxing state champions. James has prided himself in running his gym with a family atmosphere and has also been a promotor matchmaker for the past 10 years. 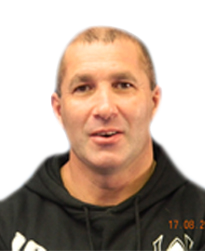 Rob has been involved with Martial arts for 20 years, first training in karate achieving his 2nd degree blackbelt. During this period Rob was a member of the Australian karate team, and won several State titles. He started Muay Thai in 2009 training under James Roesler. He received his black singlet in 2012 under the Ultimate Muay Thai System in affiliation with the World Muay Thai Council. Rob has also been graded to black belt in Ultimate MMA under Karl Jenkins, training in MMA, wrestling and BJJ since 2008. Recently Rob won Gold at the Pan Pacific BJJ titles held in Melbourne. Rob travels yearly to Thailand and Indonesia where he continues to expand his knowledge of muay thai and BJJ. His classes are always a great work out as he combines Muay thai and kickboxing techniques and drills, with sparring and continuous cardio and conditioning exercises.